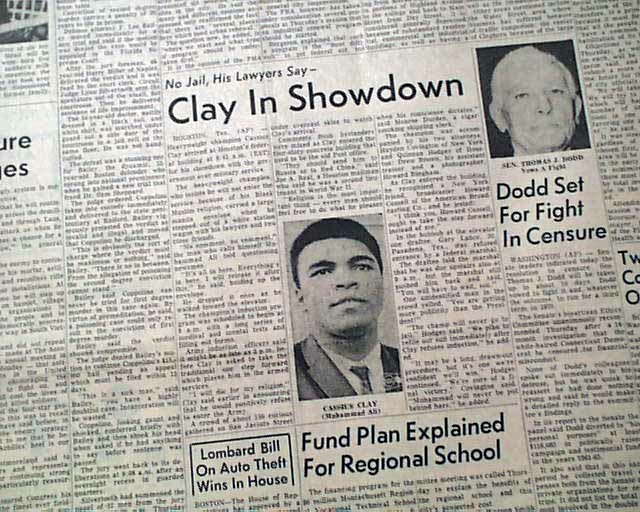 The April 28th issue has a three column heading: "Clay In Showdown" with photo. 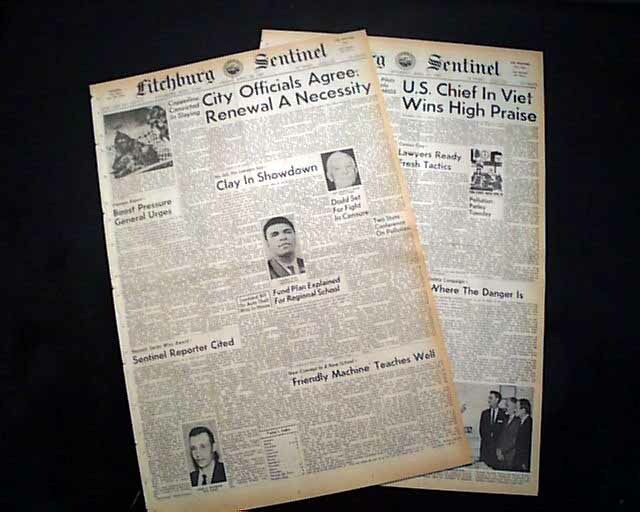 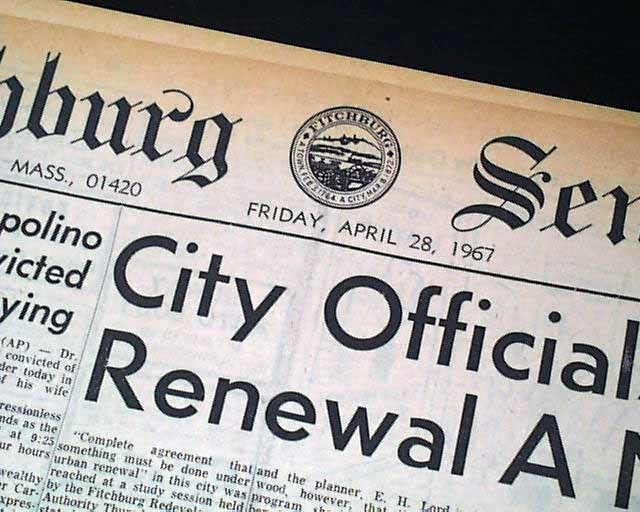 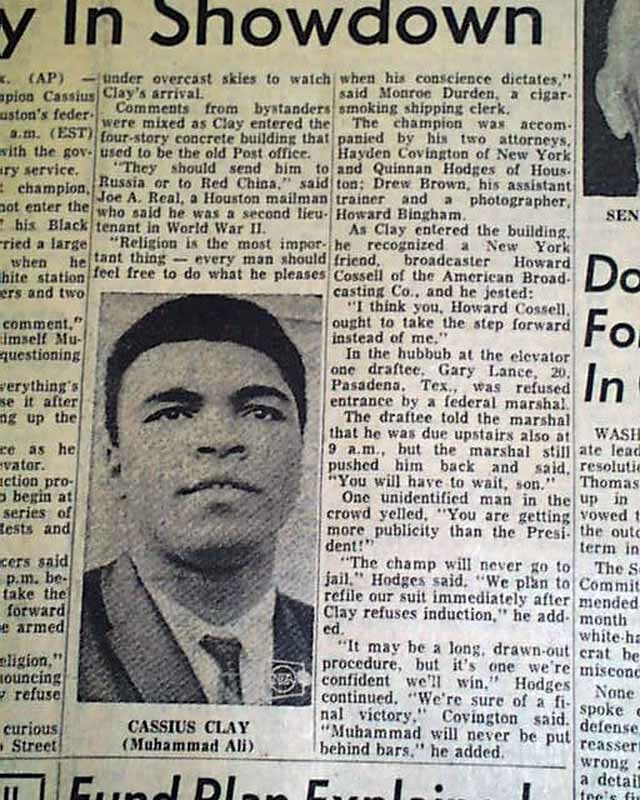 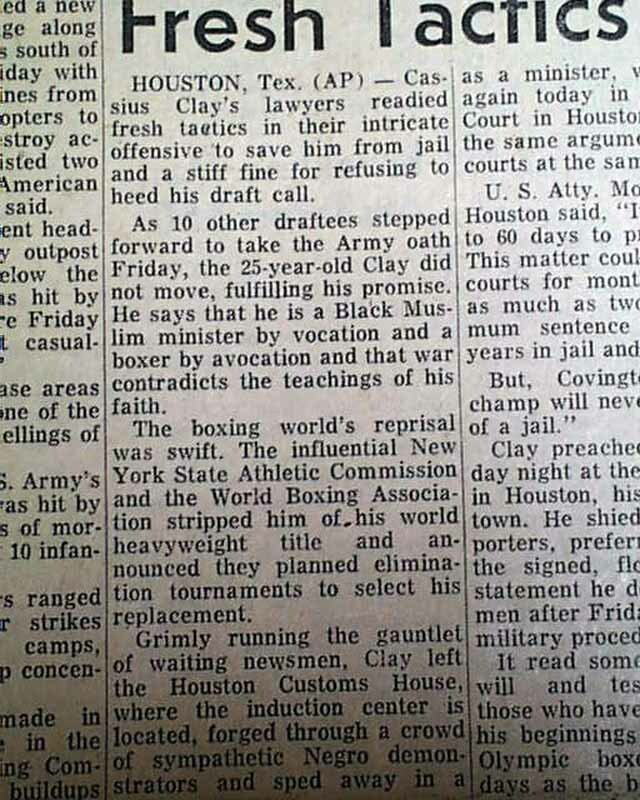 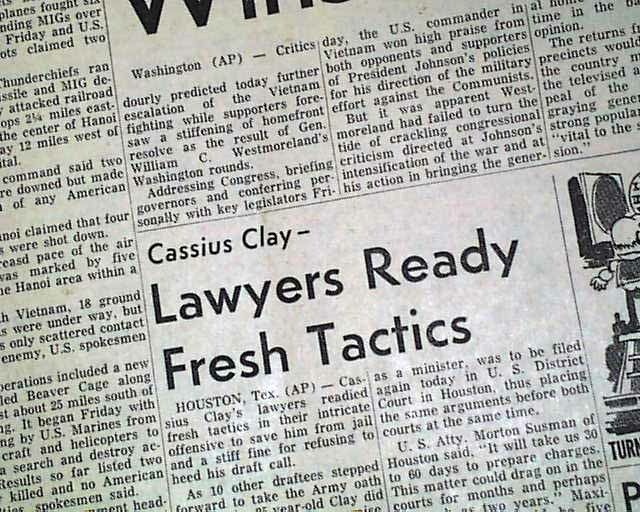 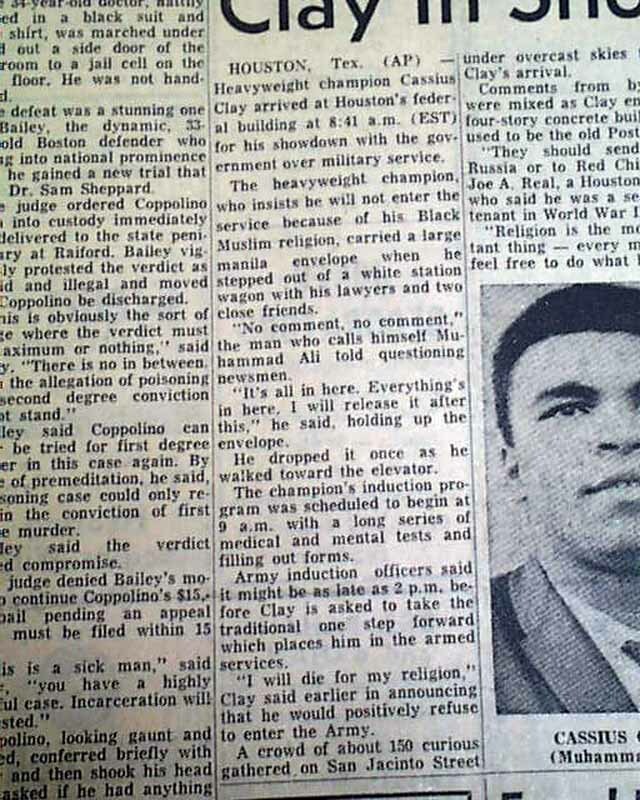 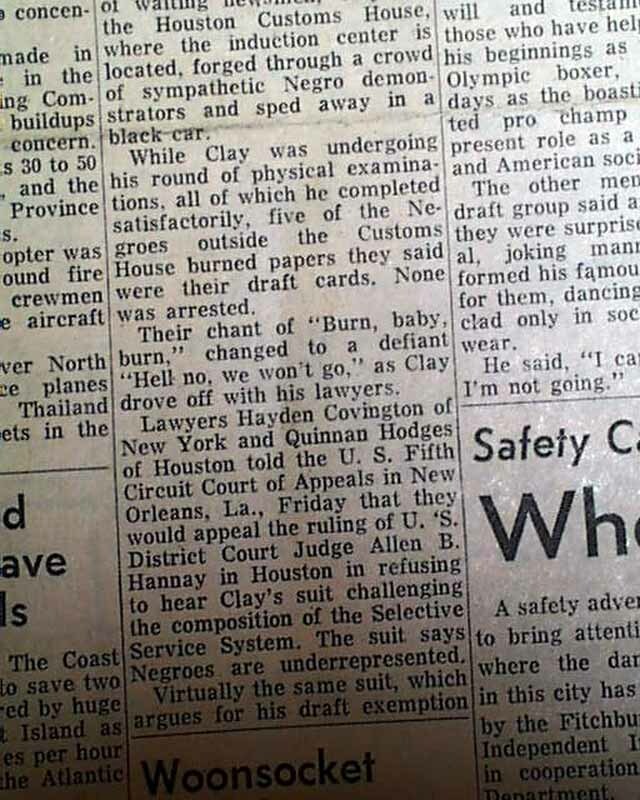 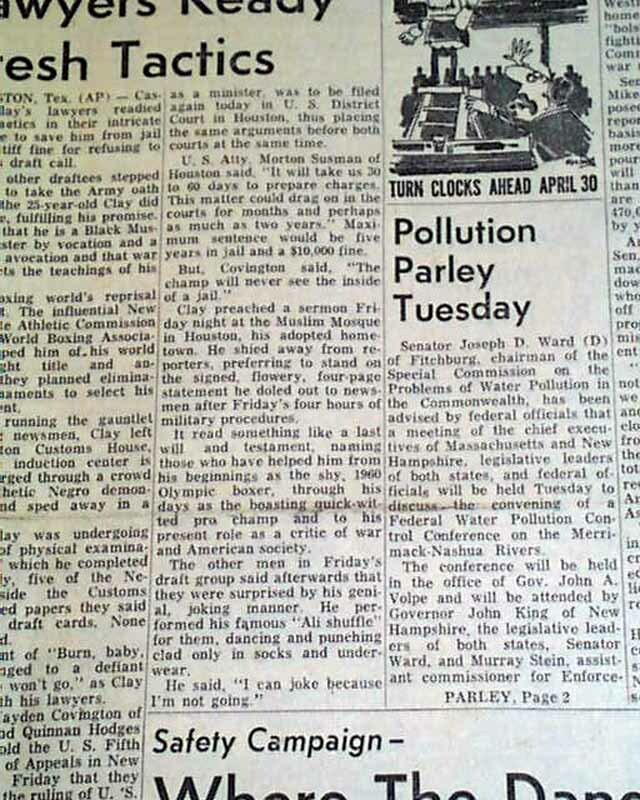 (see) the April 29th issue has a two column heading: "Lawyers Ready Fresh Tactics" This was a seminal event in the career of Cassius Clay, having recently converted to Islam and changing his name to Muhammad Ali and refusing to respond to the draft for the Vietnam War. 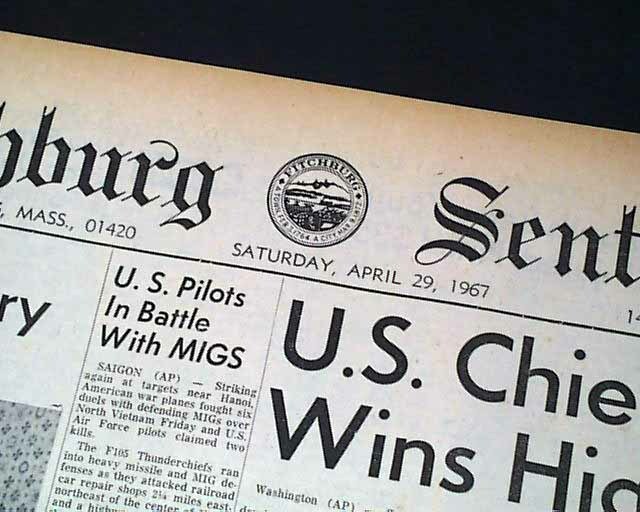 Each issue is complete with 20 & 14 pages, minor margin wear, generally nice.